This easy seaweed salad is a rotation in our house as a side dish. It’s healthy and brings appetite before the main entrée. 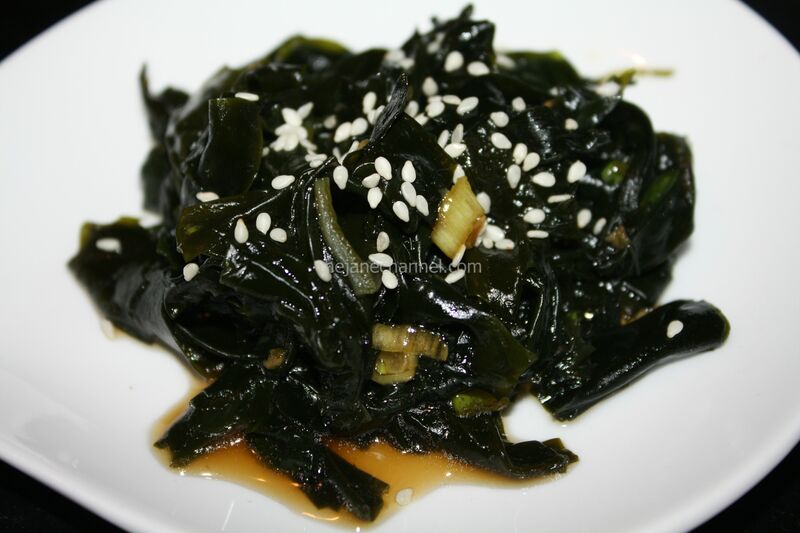 Soak wakame in warm water for 10 minutes. Drain and squeeze the water out. In a bowl, mix vinegar, soy sauce, sesame oil, sugar, scallions and ginger until sugar is dissolved. Combine wakame and sauce. Sprinkle sesame seeds on top.